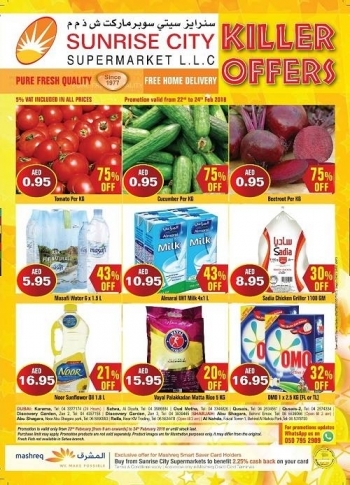 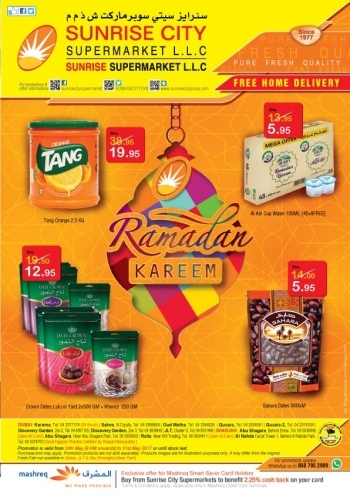 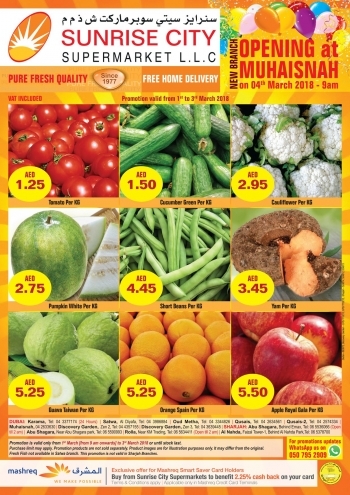 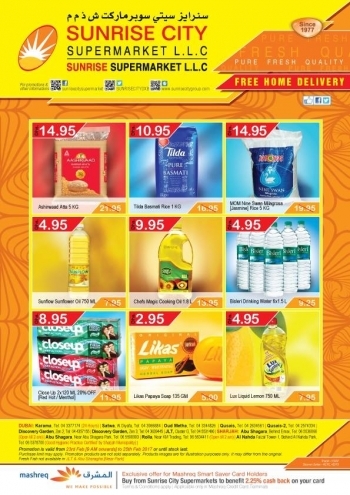 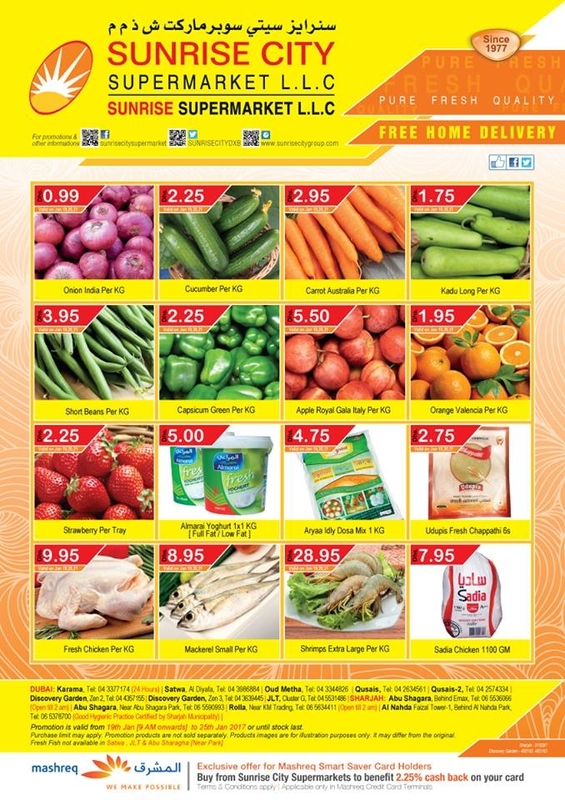 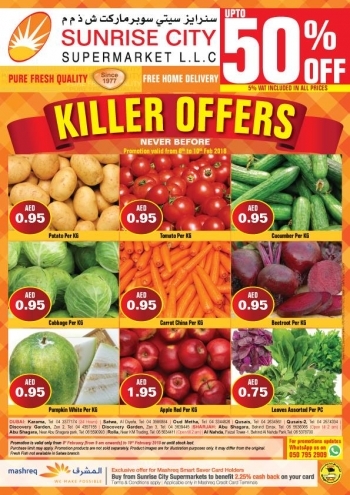 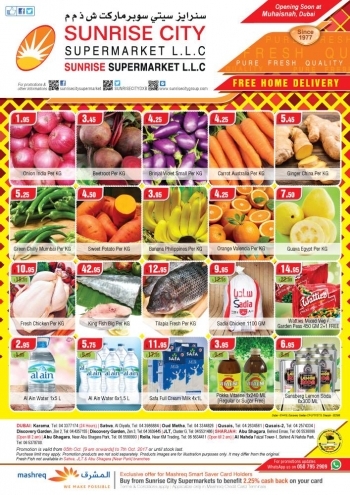 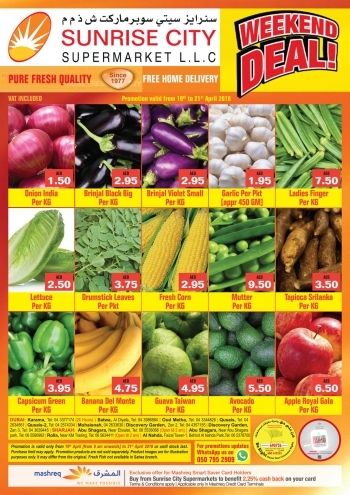 Sunrise City Supermarket Offers and Promotions in UAE. 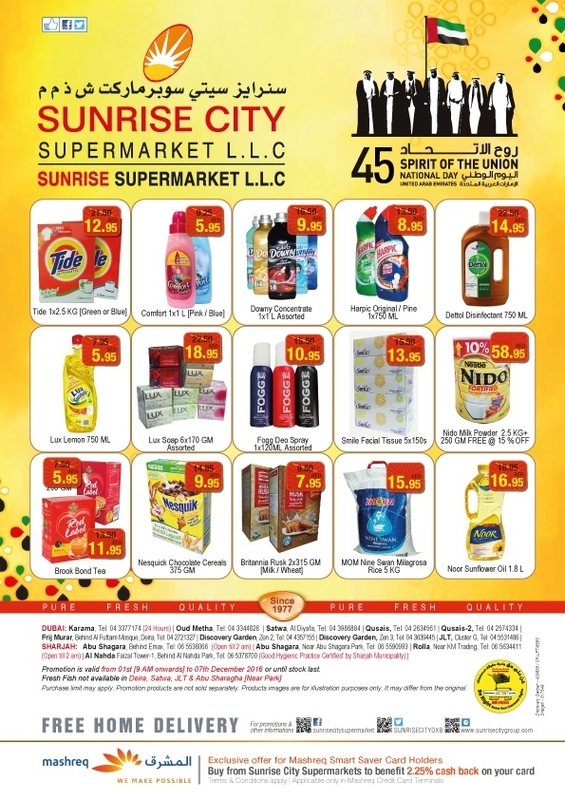 Sunrise City Supermarket L.L.C operates more than 15 retail stores in the emirates of Dubai and Sharjah. 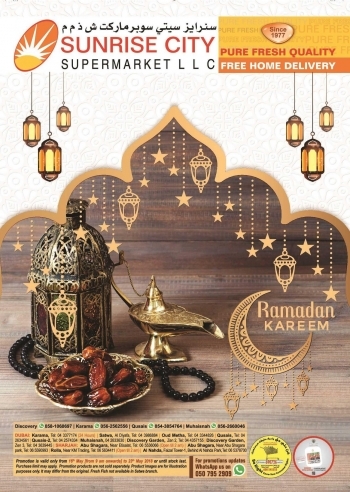 Based in Dubai, the company and its COMPANIES have an annualized sales volume of approximately AED.200 million and employ more than 450 workers. 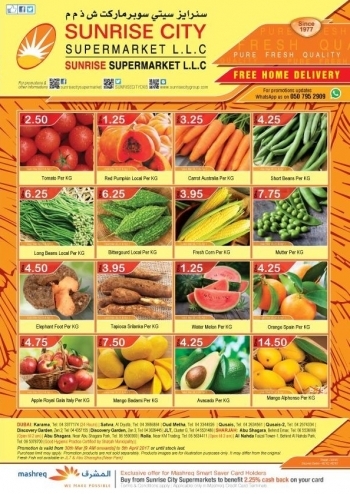 Our retail outlets carry fresh and high quality fruits, vegetables, meat, spices and dairy products, a full assortment of grocery and other packaged products and a comprehensive selection of beverages.